Most people think of water bubbling from the ground with the phrase mountain spring, but we are referring to the fickle ways of Mother Nature. Frankie questions the nature of our mountain spring showers. 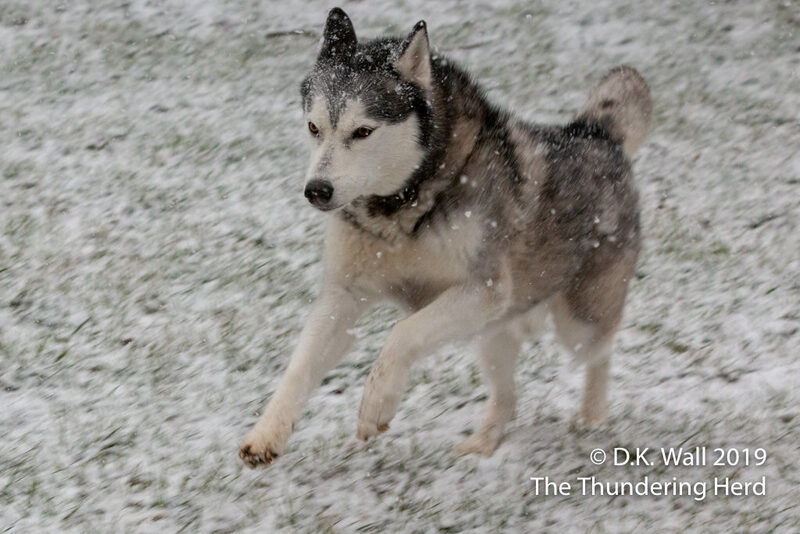 We had just enough snow to turn the ground white, but not so much to cause any sort of issues. And no snow at all stuck down on the valley floor, so this was very much a ridges event. Roscoe blinded by the light. As the sun rose Friday morning, our temperatures were cold and the light glistened off the new snow. It wasn’t destined to last for very long, but it was pretty while it lasted. Cheoah hunting for creatures stirring underground. So we each found our own way to enjoy the gift of our weird weather. Some of us found it quite tasty. 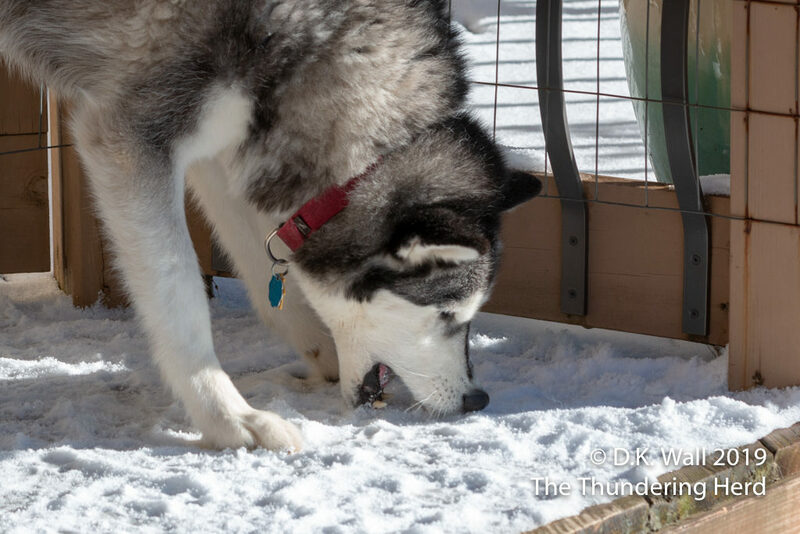 Typhoon’s favorite snack is snow from the deck. Wow-each member of the crew is finding different ways to deal with the newly fallen snow! Great photos Hu-Dad. Let’s hope some nice warm sunshine will be coming your way very soon! Did the little prince refuse to get snow on his feety-feet!! I love this snowy post. and each in their own way enjoying it! even Cheoah stirred from her favorite place by the fire. I simply LOVE the way you write. I am picturing it as a series. and trying to decide which parts should be played by which actor! I don’t like Donna. never did. but I’ll be prepared for whatever transpires. this is a “can’t put it down!” book just like one of your readers on Amazon said! and I actually resented a day away from my kindle and your story… when I had to go out of town! I’m SO GLAD you’re writing another. you do characters the way the writers used to do them. we got inside their skin. I guess I’m gushing. but just had to say all this. and one thing… I just don’t think the cover shown here does it justice!!! it’s exciting and poignant and the cover doesn’t show that. my only negative! but then it reads instantly like a classic and they aren’t known for their ‘Pick me! Pick me!’ covers! so all is forgiven! LOL. I’m not on Facebook or Twitter so must use this forum to speak of it. 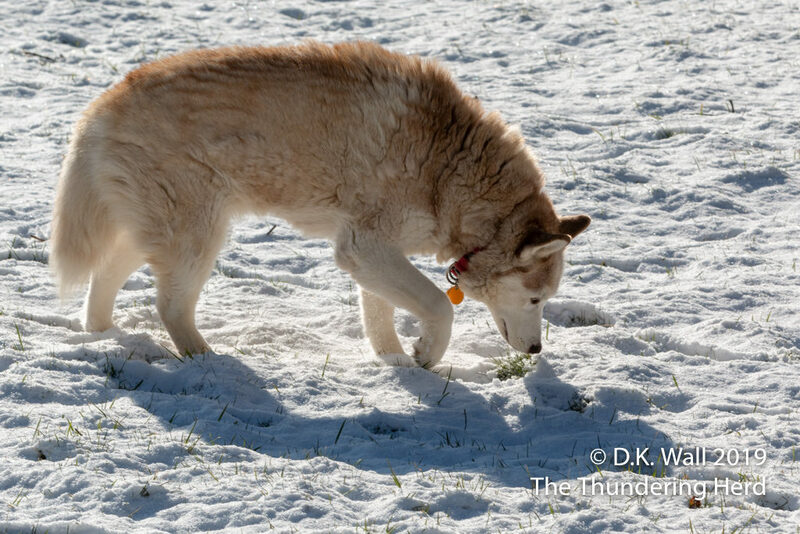 still… you are well loved here just from your wonderful Sibe tales. so they’re used to it. I’ll go back to silently treasuring the photos and life here after this fabulous read. sorry to write so long here. and I’ll leave a comment too on Amazon after reading it! it’s not unlike Steinbeck or Jack Kerouac or even Papa in my opinion. you have the gift Hu-Dad. you really do. Now, now, you are making Hu-Dad blush with all of the praise. But he says thank you and happy reading! 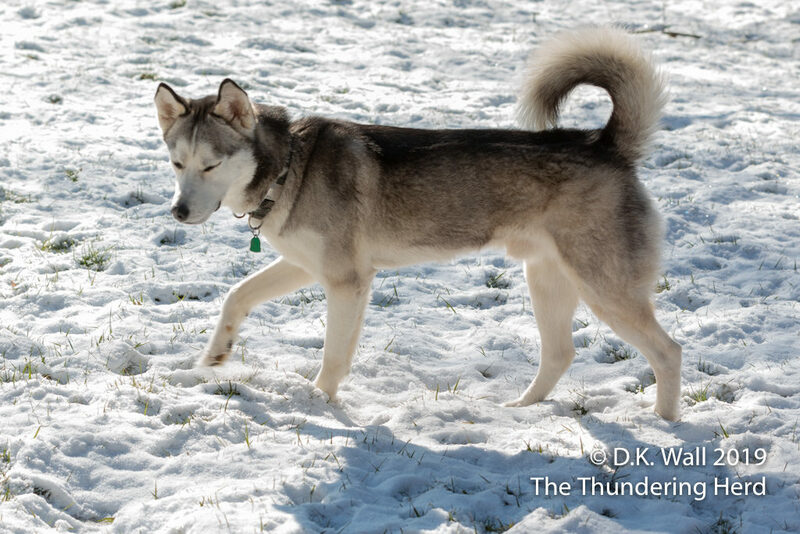 I love that photo of Typhoon eating snow!!!! I love that snow eater too! and c’mon Spring! show us your face! enough with the teasing. I can’t imagine how a gifted writer and photographer could work in Finance for years!